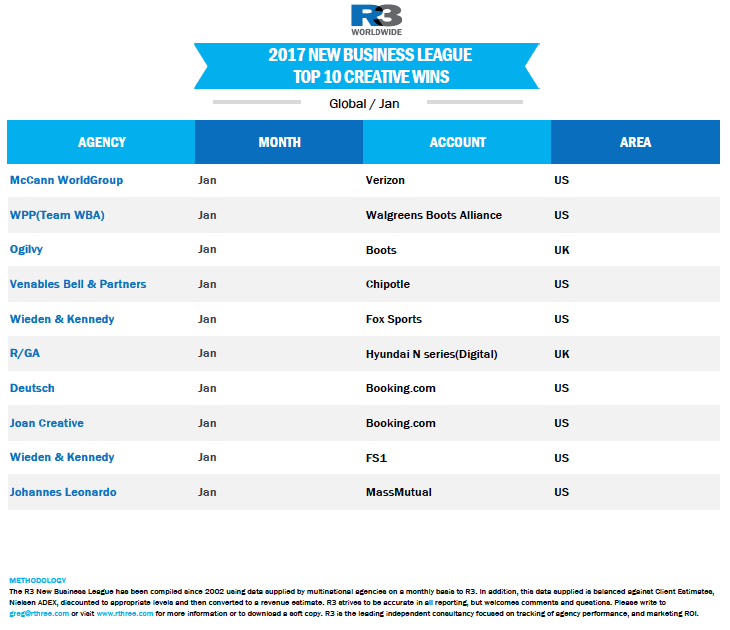 The Interpublic agency network sees 54 global wins in January. 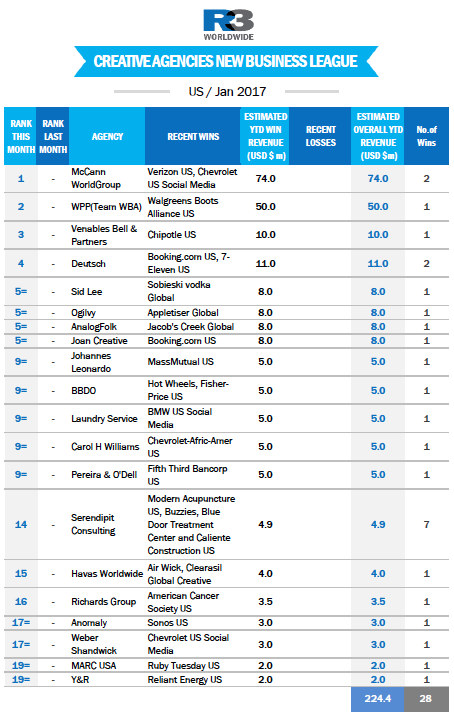 For creative and digital agencies globally, McCann’s big US wins of Verizon and Chevrolet, along with 50 other wins around the world, put them in top position in January, closely followed by the newly formed WPP entity "Team WBA," leading Boots and Walgreens. 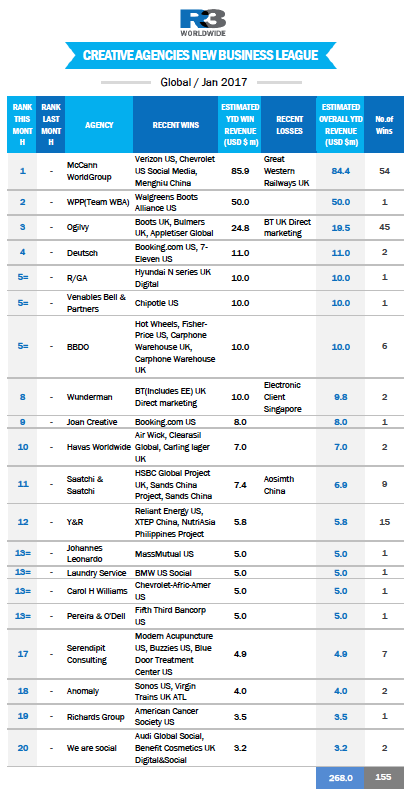 IPG agencies Deutsch and R/GA also made it into the top five off the back of a number of wins. Amongst media agencies, MediaCom’s Walgreens Boots global win saw them start the year at the top, closely followed by Publicis Connect and Dentsu Aegis’ Crat, claiming more than 50 wins globally. 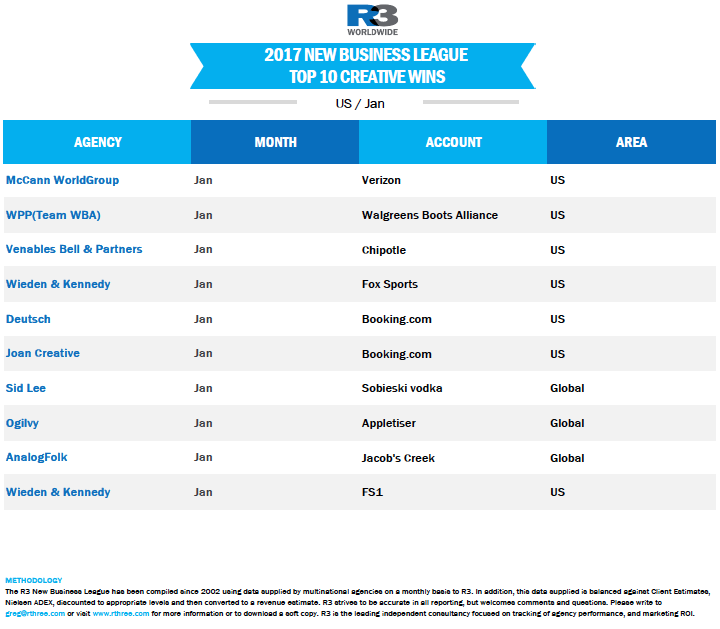 In the US, Venables Bell ranked third behind McCann and Team WBA, off the back of the Chipotle win, with Deutsch and Hakuhodo’s Sid Lee just behind. 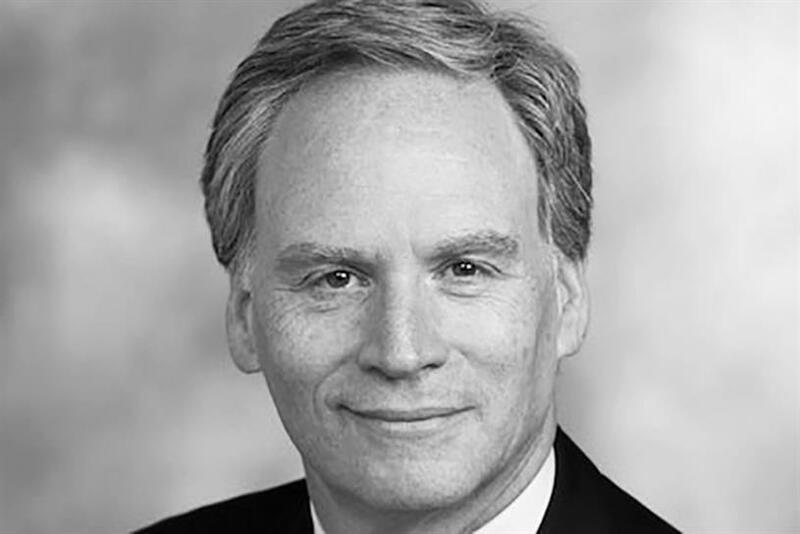 Wieden and Kennedy’s big wins of Fox Sports and FS1 were offset on losses of ESPN, Verizon and Booking.com.